This week we look at how Adolf Hitler influenced the thinking of William Pierce. Upon hearing how Hitler’s thoughts and achievements inspired Dr. Pierce, especially when presented by one as objective — and even skeptical — as Robert Griffin, even a listener who is initially hostile can come to a new understanding. We are celebrating the life of our founder, Dr. William Pierce, with this all-new audio book production of The Fame of a Dead Man’s Deeds. Be with us every week to hear the newest chapter of this book. HERE IS the latest installment of Vanessa Neubauer’s reading of Professor Robert S. Griffin’s masterful biography of Dr. William Luther Pierce, The Fame of a Dead Man’s Deeds. This week our presentation is likely to be more controversial than anything we have ever published in the Mercury before — a look at how Pierce, an American scientist and academic, was deeply influenced by the man more hated than any other in history, Adolf Hitler. The only real biography of Dr. Pierce is Professor Robert S. Griffin’s The Fame of a Dead Man’s Deeds, which was published in 2001. 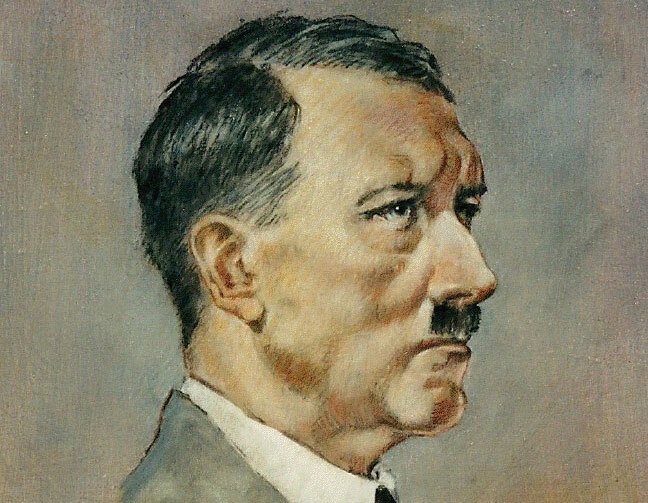 This week we continue with the fifth chapter, “Adolf Hitler,” of the book. Experience William Pierce, the writer, the philosopher, the radical — and the builder of an intentional White community in the mountains of West Virginia — just as Robert Griffin experienced him, by pressing the play button now.